While I love a good homemade dressing, when I come home starving from the gym at lunchtime I try to get my salad on the table as fast as possible. This ritual has almost become a game to me to see how fast I can assemble lunch while dirtying the least number of dishes. Call me lazy, but I like to think I’m efficient So for my salads, more often than not I just drizzle on about a teaspoon each of olive oil and honey, add a pinch of sea salt and call it a meal. Having made many dinnertime dressings by Cook Smarts this year, I now embrace the build-in-the-bowl dressing. For a crowd you’d make a dressing in the bottom of a big mixing bowl and then toss in many cups of greens. But when I’m just making a salad for myself I make the dressing right in the bowl I’m going to eat it in. I put my ingredients in the bottom, whisk with my fork, add the greens on top and toss as best I can without too many leaves jumping ship. It works quite well, and it has increased my salad enjoyment one serving at a time – no extra bowls or jars required! Of course you could also make a big batch of dressing in advance and store it in a jar, but the build-in-the-bowl kind means you can change it up each day and nothing gets wasted. Generally the magic ratio of oil to vinegar is 3:1. This matters more if you’re making a big jar of dressing to keep on hand, but it’s a good ratio to shoot for in smaller batches too. Many people use way more vinegar than oil. The oil is what brings the luxurious richness to your salad, so while I agree it might not be smart to glug it on, using a little dressing prepared in the right ratio will bring out the best in your greens. 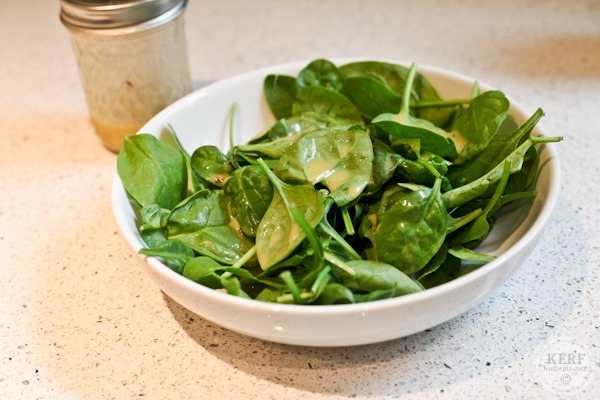 Another good rule of thumb is to use 1 tablespoon of dressing for 1.5 cups of greens. You don’t want a soggy salad, and remember you can always add more after your first round of tossing. So if you have 6 cups of greens, that’s about a quarter cup of dressing. I’ll also add that I often use garlic powder instead of raw garlic because I don’t like any meal that sticks with me all afternoon. However, I totally agree that raw garlic gives a salad dressing an extra layer of delicious! I save it for fancy dinner parties. Lastly, check out this amazing post and infographic Cook Smarts created for everything you need to know about homemade dressings. While my formula above has a lot of components for maximum taste, Cook Smarts has taught me that you really just need good oil, vinegar and salt to have a salad on the table fast. Combine all ingredients in a jar and shake well to combine. Thank you for this simple guide! I’m always clueless as to if I’m doing salad dressing the right way or not(I usually just do an oil and some salt). I appreciate the infographic! Love the graphic you made! 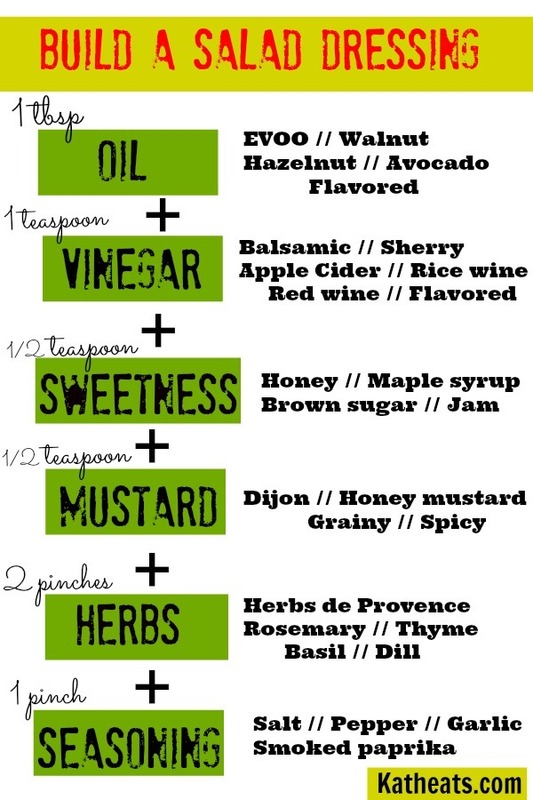 This is such a great resource for making your own homemade dressing. I love roasting garlic & adding that to my dressing! Roasting brings out the natural sweetness & tames the pungent taste. 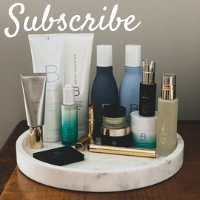 Thanks for yet another great post! Love this chart, Kath! Such a good reference sheet. I also love to use Greek yogurt as a base (in place of mayo). It works for creamy homemade dressings, like honey mustard or French. Thanks for this! 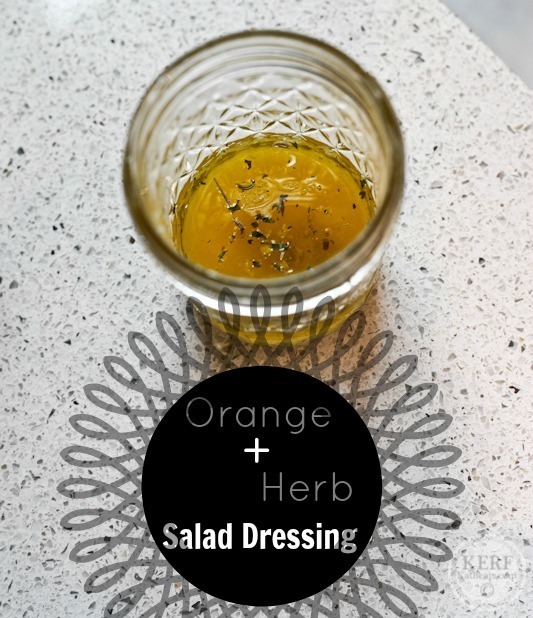 I’m not a big salad dressing person but I’ll have to give the orange & herb dressing a try – it sounds delicious! Thanks!! Jess taught me to put some honey in salad dressing, your recipe with orange juice too is perfect! I’m one of those weird vegetarians who doesn’t eat a ton of salad. I just prefer to get my greens in other forms (smoothies, kale chips, lightly steamed or baked). I am trying to remedy this a little and I really like the idea of making your own dressing in the bowl you’re going to eat out of. Love this post. I’ve been branching out to make my own dressings and sometimes they are good, sometimes not so much. This “formula” will definitely help, thank you! Love this!! Such a great reminder of how easy it is to make salad dressing at home.. and how easy it is to avoid buying the bottled, chemical filled stuff off the shelf. Gym time with a toddler…how do you do it?! Would love to see a day in the life post where you emphasize how you juggle having a little one and also getting in your workouts. Our gym has a great childcare system that Mazen loves so it’s a win-win! This is exactly what I needed, in order to push myself to make homemade salad dressing! What a great infographic! I typically throw so many ingredients on my salad that I forgo a dressing, but this was a really easy way to put it in perspective if I’m ever in a pinch for a dinner party salad. That orange + herb dressing sounds delicious. recently, I’ve been adding tumeric + pepper to my salads for your anti-inflammatory power! Yep I always stick to fat, acid, herb, and spice to make a homemade dressing. Outside of that, all I really need on my salad is a little EVOO and pepper and I’m good. I actually don’t like any sugar in my dressings, and I usually double the amount of vinegar. I do a lot more herbs, too. I need lots of flavor! Have you ever tried putting sriracha in your dressings? It’s really good! I can 100% relate to race to make lunch quickly and efficiently. I do this every single day! Also…bottled dressing…I just can’t do it anymore! Such a sad way to dress a salad. Homemade dressing is the best! I love a good red wine vinegar dressing with plenty of dijon mustard, or a delicate rice wine vinegar dressing. But I have to say, I often just drizzle on some olive oil and let that be it. You have to love the simplicity! Also, after I juice a lemon, I’ll just throw the peel in there too, to amp up the flavor as the dressing sits! Same with garlic cloves, basil leaves, etc. I love making my own dressing! I usually do olive oil + balsamic with lots of spices! I also dislike most bottled dressings except for one or two. I think most of them have too much sugar and a weird artificial taste. Anyhoo, my favorite way to make a salad is to put my greens in a plastic bowl that has a lid, add the dressing, and then put the lid on the bowl and shake it to coat all the leaves. Love this post. 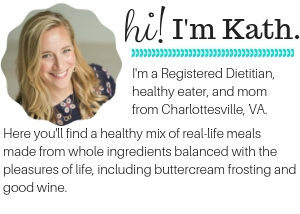 I’ve been consistently making my own salad dressings for a couple of years now (initially because I started paying attention to the nutritional information and realized how much sugar was included in most of the brands at the grocery store), and I totally agree with Kath’s comment about bottled/commercial dressings, there is just no comparison when it comes to flavor. For those trying to get in the habit of making their own dressings, hang in there and keep with it, it is so worth it! I think Kath’s approach to making just enough for one salad at a time is brilliant. No waste, you get lots of practice and will know very quickly what works for you and what doesn’t. Thanks Kath! Olive oil, honey, salt, and pepper is my favorite combo ever! I have gotten into making my own salad dressings because I am allergic to wheat and so many of the store bought ones have wheat in them, among a lot of other crap;) One of my favorite salad dressings is avocado, honey, green garlic, lemon juice, olive oil, salt, and pepper. It makes such a luscious, creamy dressing! This also tastes great on grilled chicken. Do you need to refrigerate home made salad dressing ? How long does it last in a jar ? You don’t need to if your ingredients are shelf stable collectively. I’d say 3 to 5 days. AMAZING! Thank you for making it easy! I’m hooked! Started the Dherbs cleanse and your recipes were on the website. I would not have tried it if it wasn’t “approved”. My palet has changed and I can now taste the goodness of these homemade salad dressings. THANKS so much!! How many calories are in the serving amounts listed in the info graphic. I tried it today and I absolutely love it. Thank you! !